Rico Baby Teddy Aran is a lovely very soft knitting yarn for babies. 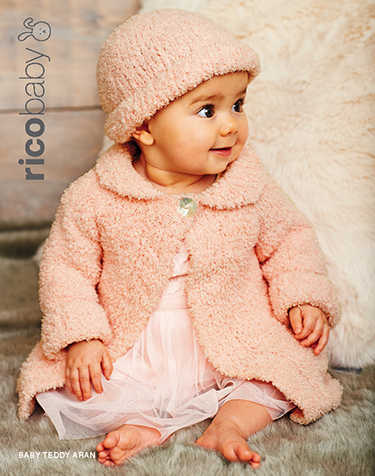 With its incredibly soft structure Rico Baby Teddy aran is the perfect knitting yarn for cosy baby garments and accessories. The fleecy thread creates e.g. wonderful baby blankets.